So what do we think it says about the design of an automobile if it is produced by a couple of different companies under a couple of different names? Does this mean that the design is solid and popular and so in-demand that a bunch of companies are all clamoring to build it? Or does it mean that one company tried, failed, went out of business and sold the design to someone else? The Lombardi Grand Prix went on sale in 1968 and was sold through 1972. It was also sold as the OTAS Grand Prix, the Giannini 1000 Grand Prix, and the Abarth Scorpione. 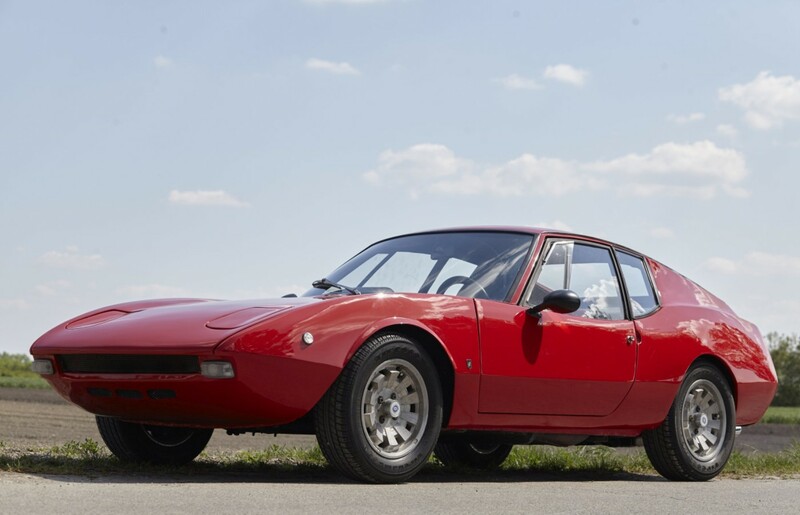 The car’s underpinnings are borrowed from the rear-engined Fiat 850, meaning this car is powered by an 843cc straight-four making 43 horsepower. Top speed is 99 mph. It won’t set the world on fire, but it’s small, light, and nimble enough to be loads of fun. This example has been thoroughly gone through, having been restored about five years ago. They only built a few hundred of these and this one is expected to bring between $33,500-$45,000. Click here for more info and here for more from this sale. This entry was posted in Uncategorized and tagged 1971, artcurial, auctions, cars, classic cars, grand prix, lombardi by classiccarweekly. Bookmark the permalink.